Introduced in 1990, the Submariner reference 14060M is one of the last submariners to closely resemble its vintage predecessors. 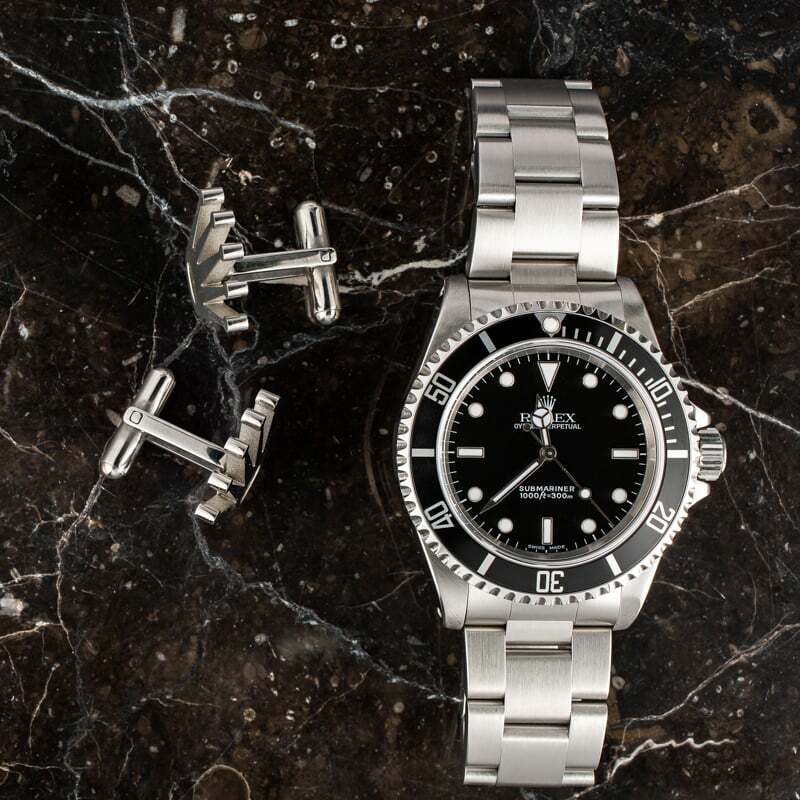 It's especially appealing to watch collectors because it offers several features from the original model such as drilled through lug holes and a matte aluminum bezel insert. This model features a black dial with smaller yet still highly luminous hour markers and hands, a feature that is desirable to collectors who prefer the styling of the vintage Submariner watches. 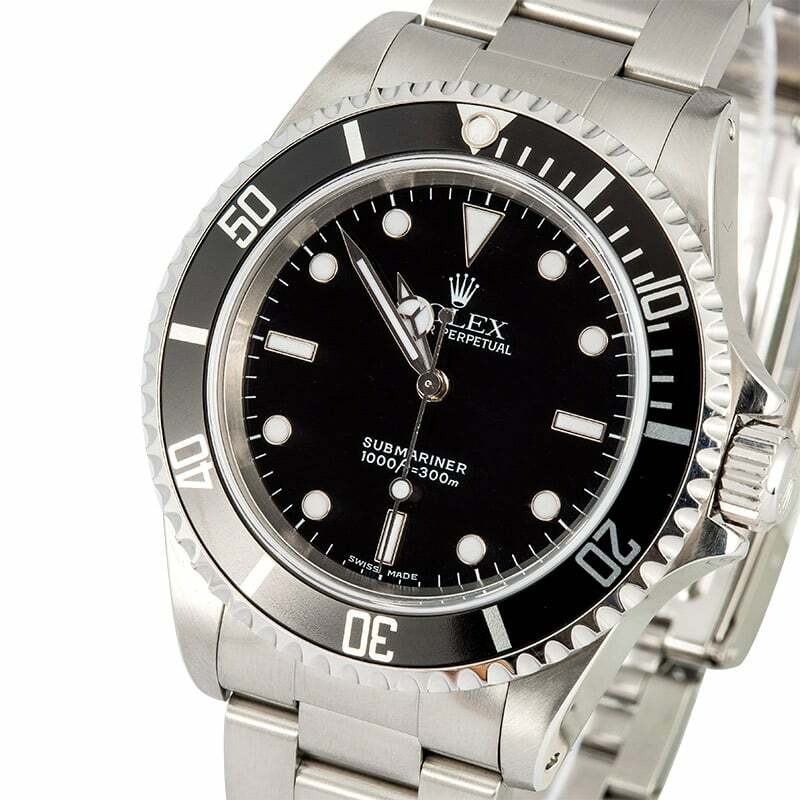 As with every Rolex model, this modern Submariner has been refined to include updated features such as a more precise automatic movement, a scratch-resistant sapphire crystal, and a unidirectional design to the bezel. The large, yet slim 40mm waterproof Oyster case is outfitted with a notched bezel and crown guard that are both extremely easy to use while wearing diving gloves. 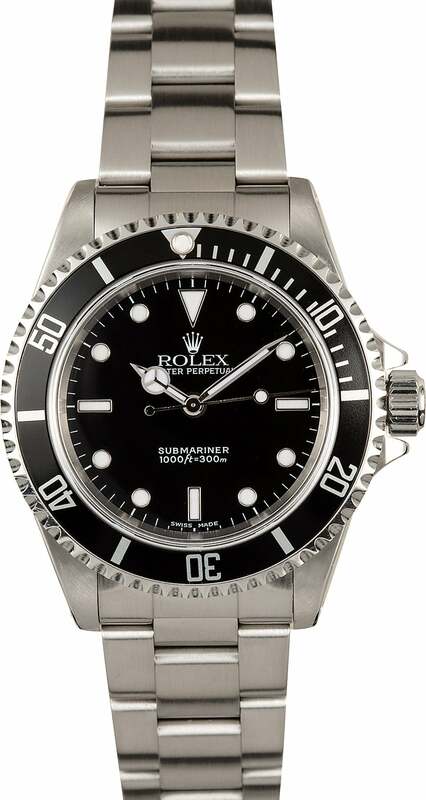 If you are looking for a Submariner with a classic yet impressive design, then this is the watch for you! 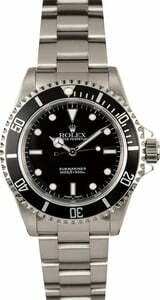 After much online research and studying I found Bobs to be most respected and fairly priced used Rolex Submariner seller. I purchased my SS Submariner and it arrived next day well packaged and exactly as described. It was a link too small and was unable to wear it so I contacted Bobs to see if I could buy a link and they said they would send me one no charge. Couple of days later a beautiful link showed up. Now thats true customer service. My watch still runs perfect. Bobs is highly reccomended by me!